If you’re buying a home for the first time, you’ll need the services of an experienced home inspector, to ensure that you’re investing in a home that’s in good condition, and free of any major issues. You may be tempted to skip the process of home inspection – but doing so is very risky, and could result in serious financial losses. A home inspection allows you to identify any areas of a potential home that may be dangerous, need replacement, or require repairs in the near-future. For example, a home inspector finds that the roof is damaged and leaking – and unless you hired an inspector, you may have purchased the home without knowing about this issue at all. 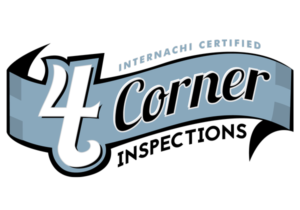 Once you hire 4 Corner Inspections, we will take care of all the scheduling with the listing agent to provide us access. A home inspection will usually take 2-3 hours, as the inspector must walk through every part of the house, and make notes about the condition of each component, system, and part of the property. You do not need to attend the inspection, however, it is encouraged so you can ask any questions you may have during the inspection process. After this process has been completed, the inspector will give you a summary of their findings. They will compile a full report later, and send it directly to you. Getting a home inspection as a buyer has a number of benefits. First, it can ensure that you don’t invest in a property that needs serious work, or is not up to code. This is because most purchase contracts include a contingency clause, which allows you to abandon the sale if a major issue is found during the inspection. Buyer home inspections also allow you to renegotiate the terms of a sale, should there be a more minor problem that is not a deal breaker. You can ask the seller to make repairs themselves, or reduce the price of the home so that you can make the repairs on your own. But, most of all, a home inspection gives you peace of mind when purchasing a house. 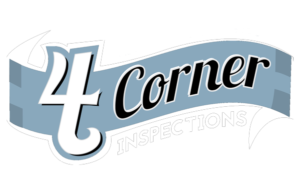 So schedule an appointment with 4 Corner Inspections now, and feel free to contact us if you have more questions.